Most people know Korean BBQ beef, Kalbi, (also spelled ‘Galbi’) – a grilled meat dish that made Korean cuisine make its way into mainstream, way before kimchi became trendy. It’s kinda weird since beef is really REALLY expensive in Korea and only the “rich” can afford to eat meat. Most of us “common” folks eat ‘meat of the earth’, fermented soybean paste, Doenjang, as if it’s the best food on the planet. And it is ‘the best food on the planet‘ in many ways but let’s face it; it’s not meat. It wasn’t until I came to the U.S. when I started eating Kalbi; maybe once a month. If at that. But when the weather gets colder, we take the same flavors “inside” because we need to nourish our bodies with good fats and protein. And I thank my Korean ancestors for coming up with this way to enjoy short ribs in the winter….even if I had to wait until I came to America to enjoy it. Oh the irony. 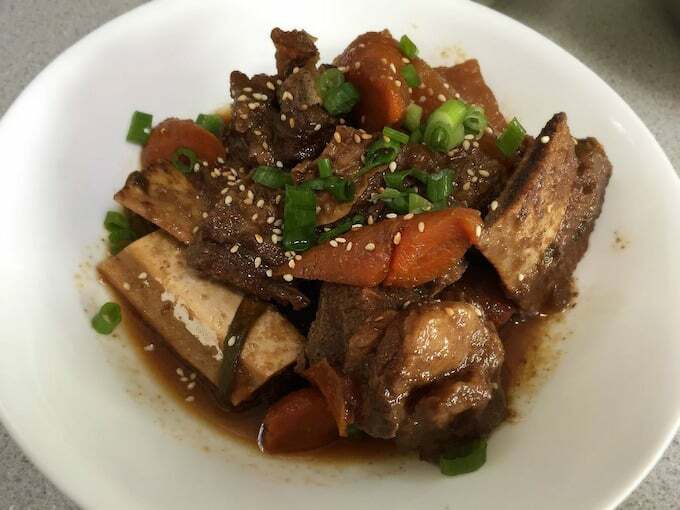 Isn’t it called, “Braised” Korean Short Ribs? I see a lot of recipes with titles that say “Braised Korean Short Ribs” and it’s misleading because technically, it’s not ‘braised’ since you don’t brown the meat before cooking. It’s simply simmered (definition of ‘jjim‘) for hours to break down the protein to tenderize the meat and to lock in all the flavors until they are happy together. It’s kinda how I make my fighting children make peace. Keep them in the same room until they work out their differences. It makes me a monster mom but it works. It’s the same with Kalbijjim….being in the same pot for hours, the meat and spices have no choice but to get along REALLY well together. The downside of making Kabijjim is the HOURS it takes to simmer on the stovetop. You can’t leave the house and you go bonkers smelling the deliciousness for hours while your stomach growls. Now I use a pressure cooker to simmer for less than an hour. 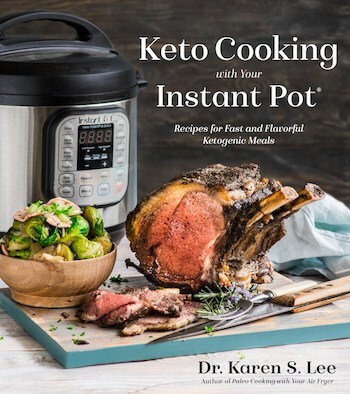 And of course, making it in the Instant Pot (Amazon Affiliate Link) is even better since it’s stainless steel and unlike my old stovetop pressure cooker, I don’t have to babysit it. It is a game changer. The beauty of making this dish in the Instant Pot is that you can use frozen meat! How great is that? It’s a game changer. 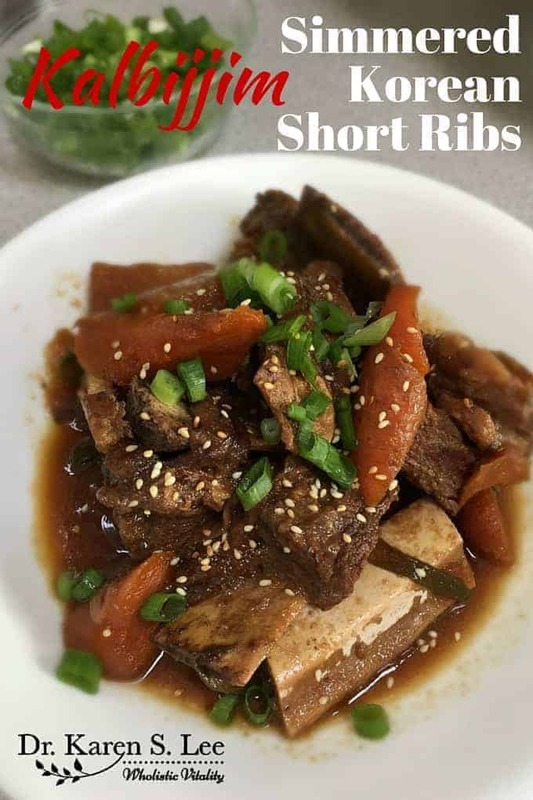 But I get that some people still use the stove top pressure cooker or some people don’t have a pressure cooker so I wrote three different ways to make this quintessential Korean style braised short ribs. One note on the meat. You can use this sauce for any type of meat but make sure it has some fat on it. If it’s too lean, the meat gets too dry and chewy even in the pressure cooker. That’s why short ribs work really well for this recipe. Some people cut out the bony part of Prime Rib and save them to make this. I think it’s brilliant! If you don’t have a pressure cooker, you can simmer for at least 1-2 hours in a heavy bottom pot. But seriously, you need to get a pressure cooker. 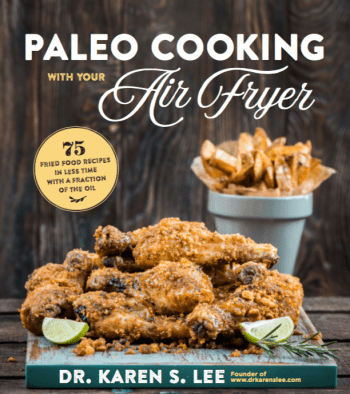 You’ll be a changed cook! Ok, enough of storytelling and here is the recipe using three different methods. This may be a lot of meat but if you're going to 'go for it', you might as well make enough to last a couple of meals. If you want to make less, just adjust the ingredient portions. Slice the meat in between the bones as pictured. In a large pot, place all the ribs pieces and cover with cold water and let them soak for at an hour. Drain the water and fill the pot, just above the meat. On high heat, bring the water to boil. Discard the water with all the brown scum and wipe down the side of the pot. Repeat until the water is relatively clear and set it aside. Blend all the ingredients listed under 'Sauce' until smooth in a blender or a food processor. Add the meat and the sauce in the Instant Pot. Make sure the silicone ring is in placed properly and the pressure release valve is closed. Choose Beef/Stew setting and increase the time to 40 minutes. When the timer stops, use Quick Release (QR) and open the vent. When the venting stops, open the lid carefully. Add the vegetables and sesame oil. Close the lid tightly, make sure the release valve is CLOSED. Click on MANUAL and timer for 15 minutes. When the timer goes off, use Natural Pressure Release (NPR). When it stops, open the lid, and plate the ribs with sesame seeds and finely chopped scallions as garnish. Prep the meat and make the sauce as per directions above. Put the meat and sauce in the pressure cooker and put it on the stove top on HIGH heat until the pressure release valve starts to move. It should take about 10-15 minutes. Lower the heat to medium heat. Release the pressure valve and open the vent. Open the pot when the pressure is completely released. Close the lid and put the pressure cooker back on the stovetop on HIGH for 10 minutes after the vent valve starts to move. Turn off the heat until the pressure is released naturally. Plate the meat and garnish with sesame seeds and scallions. In a heavy bottom pot - heavy bottom stainless steel pot, enamel coated dutch oven or cast iron pot - place half of the vegetables and meat on top. Add the rest of the vegetables, the meat, and the remaining sauce on top. When the liquid boils, lower the temperature and simmer for an hour. Check for doneness after simmering for an hour. Turn the meat and vegetables over and mix them gently. If the meat is still tough, simmer for another 30 minutes. The meat should fall apart. Place all the ingredients in the slow cooker and mix. Cook for 6 -7 hours on HIGH or 8-9 hours on LOW. When the meat falls off the bones, plate the ribs, garnish with sesame seeds and scallions before serving. 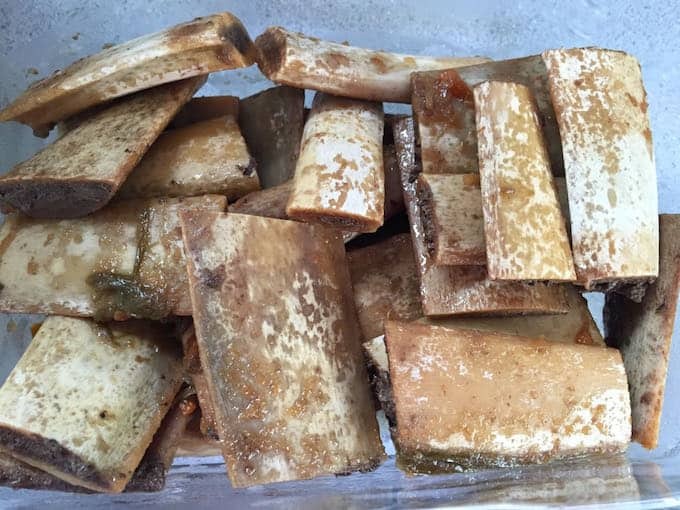 After you’ve cleaned out the meat, save the bones to make bone broth! I freeze them until there are enough bones to add to the joint bones to make broth. No wasting food around my kitchen! Pin this post to share!